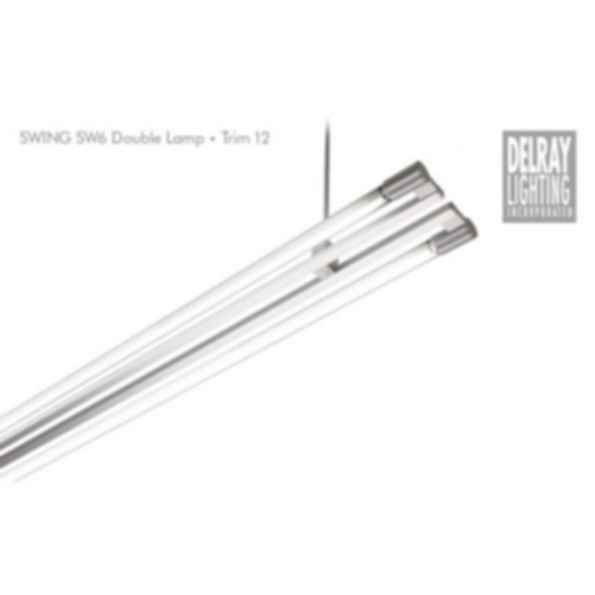 Stand-alone or continuous run pendant (SW442/642), stand-alone rail (SW542), or continuous run rail (SW742), dual lamps. Separately housed or rail integral 120/277V, 50/60 Hz universal ballasts. 2-piece, 115-degree perforated diffuser (Trim 12). Material: cast zinc aluminum alloy and aluminum extrusion, matte anodized finish. Size: 2, 3, or 4 ft. lengths.